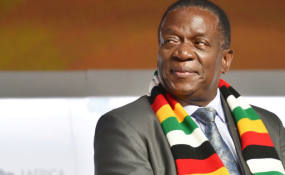 President-elect Emmerson Mnangagwa (file photo). The two-day SADC Summit is running under the theme "Promoting Infrastructure Development and Youth Empowerment for Sustainable Development". "We took the opportunity to update Sadc of the elections which took place in Zimbabwe which were successful," he said. "Zimbabwe is not on the agenda. In fact, this has been an unprecedented kind of election which was peaceful, fair and transparent except for futuristic issues," said Minister Moyo. The industrialisation discourse dates back to the Sadc summit held in Harare, Zimbabwe, in 2014 themed "Economic Transformation and Sustainable Development through Beneficiation and Value Addition". At a local level, President Mnangagwa's administration has prioritised infrastructure development as a key enabler to industrialisation and economic prosperity.